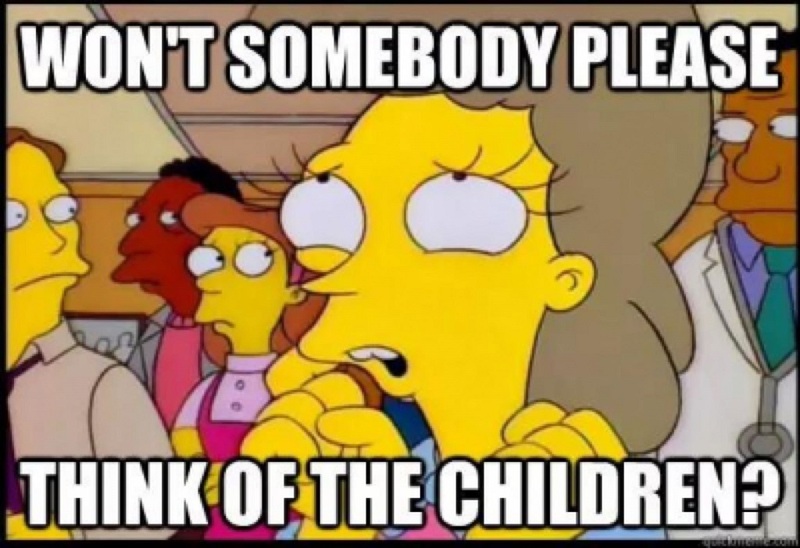 Kent's "Hooligan Libertarian" Blog: "Think of the CHILDREN!!" Or the old, disabled, or ill! Those who might be considered, by some, as "unwhole" in some way. I appreciate when people stand up for the "unwhole"; I'm less than impressed when someone imagines that being "unwhole" bestows or creates extra rights. I'm downright angry when someone insists my (or others') rights don't matter because they might somehow offend the "unwhole". Certain people bring up the "unwhole" in discussions to try to find a reason to justify archation, such as "taxation" or "laws". Recently one such winner objected to my dismissal of laws as either unnecessary or harmful because he didn't understand how the "unwhole" could defend themselves without "laws". I wonder how the "unwhole" can defend themselves from "laws". I understand the desire to protect the "unwhole"; I don't like the tendency to throw everyone else (and their rights) under the bus on behalf of the "unwhole" due to their imagined extra rights. Unwhole? I'll whack you with my cane,yes I will! I can defend myself, It's the 'run away' part that's difficult. Rule 1 of winning a fight: don't be there. It's not your fault if someone gives you no choice but to fight back in a decisive manner. Smart thugs should understand that attacking someone who can't run away is more likely to be a lethal choice. "Smart thugs"... I crack myself up. PC: We demand equality! Not just equality of opportunity, but equality of result. But, of course, some animals are more equal than others. Ah yes; there is always the "but"